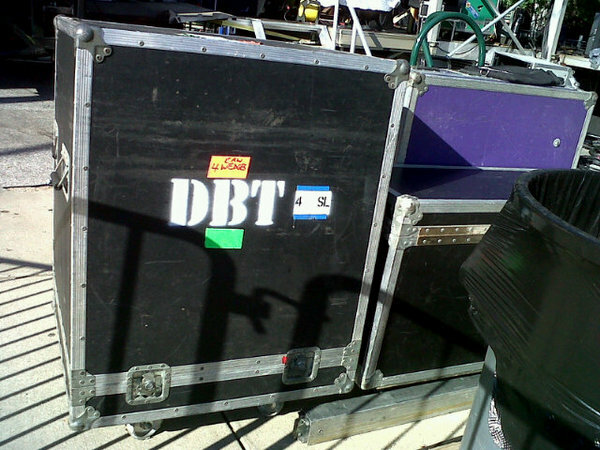 Either DBT is paying of that big crack dealer or they are getting some new Pretty Road Cases Brand road cases. In any case what’s cool is that some of the old road cases that have been around the world and back are now being made available to the fans. We are talking guitar and bass flight cases as well as several large trunks going back as far as the SRO days. If you are a fan of the rock show we are talking collectors items balls with the stencil and white spray paint included. If you are interested email info@prettyroadcases.com. Also I just saw over on the Pretty Road Cases Facebook page that they now have vinyl cases available so get yourself one or maybe just three.